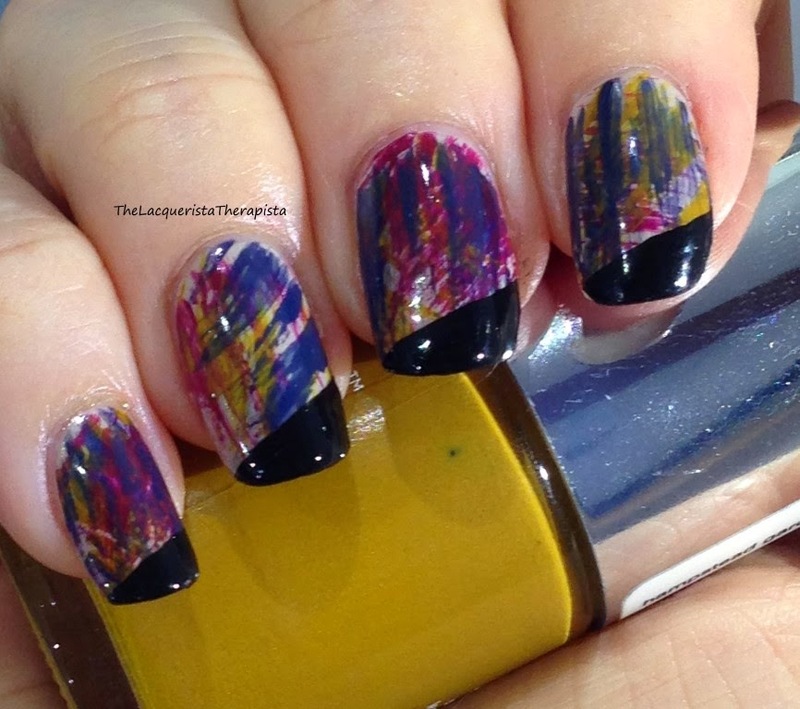 I have another art-inspired mani for you this week from another Dutch painter, no less. This one is a request from a friend and it was so much fun to paint this one. 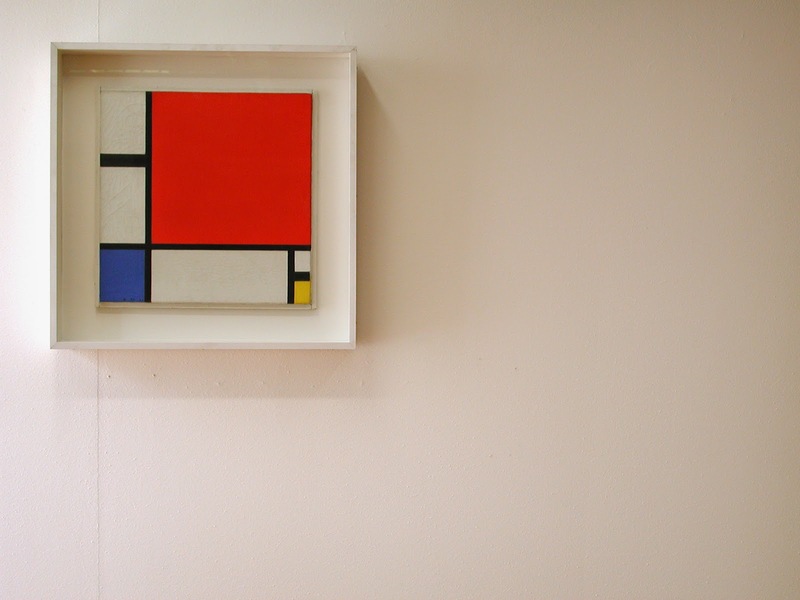 I chose to do a variation on the famous geometric paintings by Piet Mondrian. Despite the horrifically hot weather (it's over 100 degrees today...oyyy), I'm ready for Fall to begin so I thought I'd try to usher it in by using colors that remind me of the season while still keeping to the red, yellow, blue vibe of Mondrian's art. 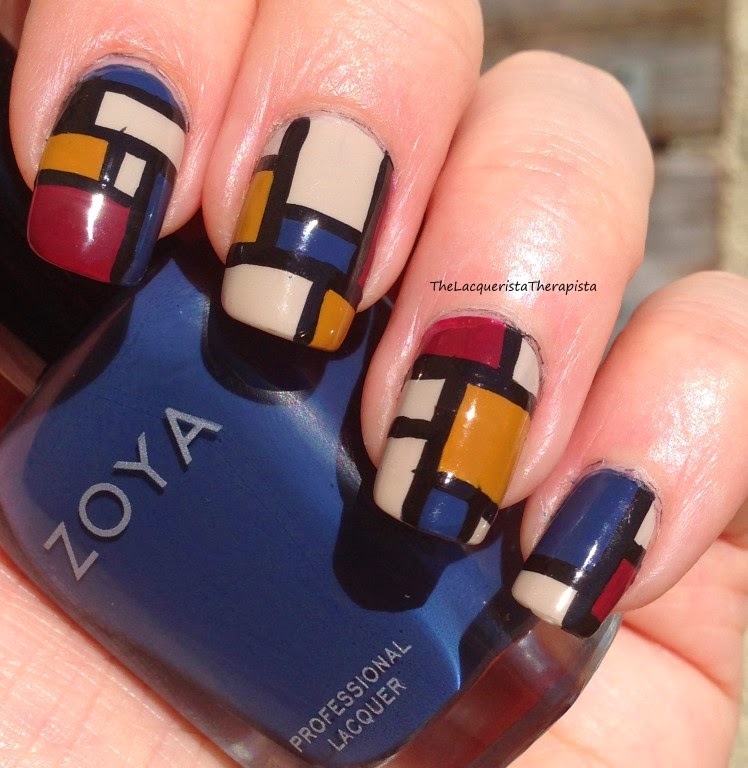 Muted Mondrian mani. And the thermometer is chillin' (ha) between 100 and 110. Awesome. The following photo was not taken in the refrigerator. The base color is Essie - Sand Tropez. 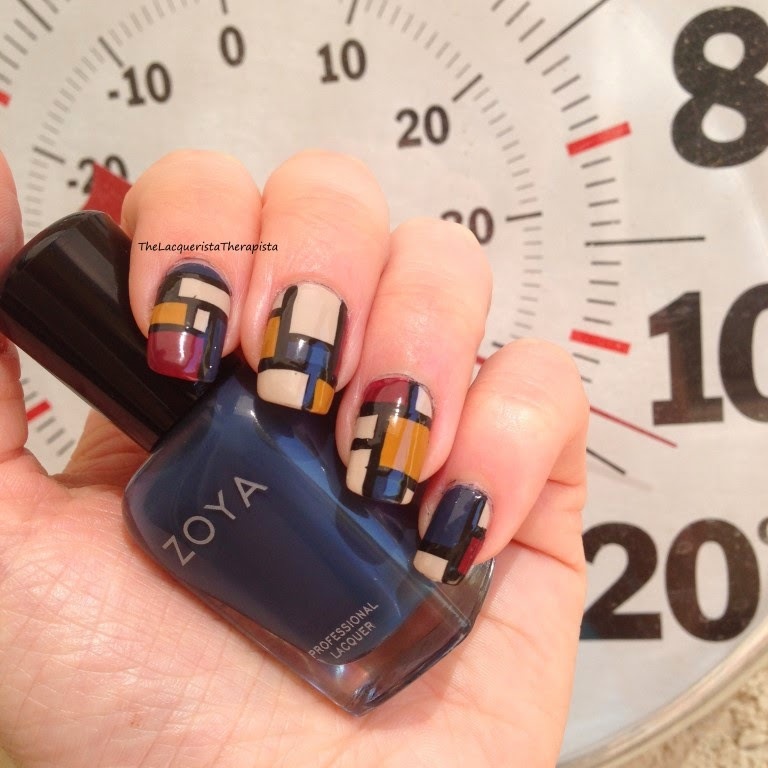 I also used Zoya - Natty, Nails Inc. - Hampstead Gardens, and Hits - Bardana. The lines were made with a black nail art polish by Orly. I really love how it turned out. 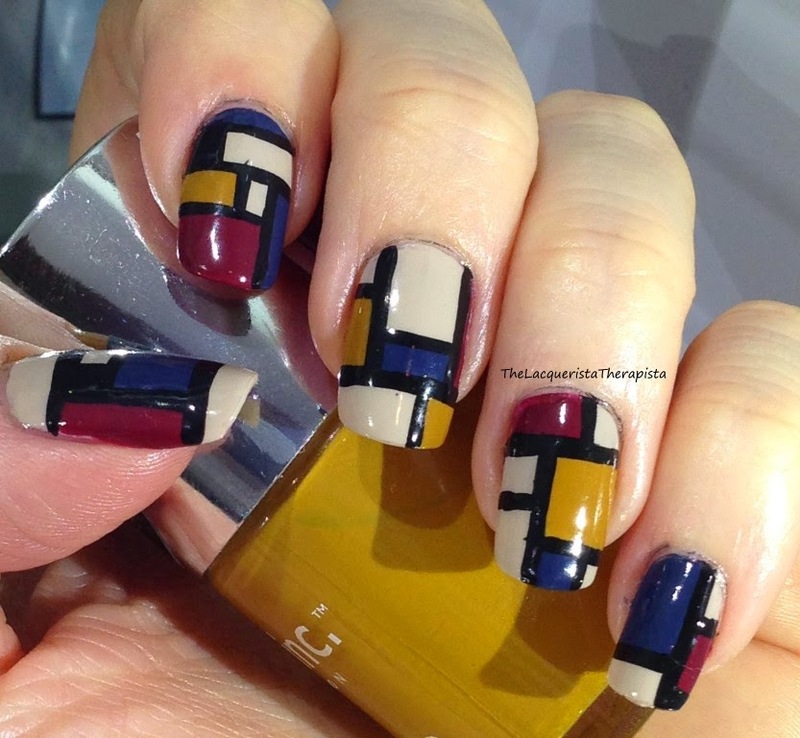 It coordinates with the colors of the Mondrian-inspired side and also opposes it with its messy colors and angled lines. I used the same polishes for this one. The smeary look is done with a fan brush. I added angled tips to finish it off. All polishes used in this post are my own.